A History Lesson of Inequality Among Humans, About 12500 Years Ago. In the Anthropology 101 course that I’m enrolled in this semester, I read in my textbook about the Natufians. The Natufians were a society of humans that lived in the Fertile Crescent in the Middle East about 12500 – 10000 years ago. 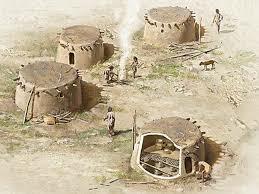 They were among, if not the first, people to settle in a specific location, and mostly give up a hunter gatherer lifestyle. The Natufians were the first people to domesticate plants and animals to work for them. 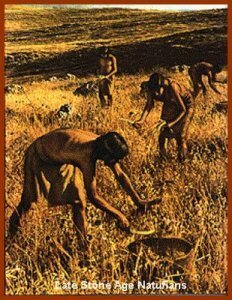 They lived on a diet of different grains, and of course, animals for protein, and they were the first to farm their food. During this time, the people were living in an egalitarian society, that is, everyone was on equal playing ground; nobody higher or lower than anyone else, everyone was equally as important and necessary as everybody else. At this point, the authors of my textbook, among other anthropologists and archaeologists specifically, believe that the first division among people happened. The Natufians would hold elaborate feasts, some say to show off to neighbouring tribes how well they were doing, and others say to celebrate their new found stability and surplus of sustenance. Because of these feasts, the farmers began to prepare and grow as much food as they could. Eventually at one point, it’s believed that too much food was grown, and instead of wasting it, the Natufians found ways of storing the food such as digging pits, and building raised surfaces to prevent rodents from having a feast of their own. Once the food was stored, a problem arose: who did the food belong to? Now this wouldn’t have been a problem if everybody in the society farmed for themselves. But, not everybody needed to farm after they settled down; occupation specialization occurred, and people began to dedicate their time to doing other things such as building tools, and planning for potential problems like flooding. In order to solve the problem of the excess food, the first bureaucratic problem solving system took place, and some people were deemed more important and more deserving than others. The human race, besides a few exceptions, never looked back, and this new bureaucratic society took over. I have many problems with inequality. Now it’s a pretty far reach for me to blame the Natufians on every instance of inequality that exists today because they enjoyed feasting and accidentally farmed too much food. But it makes me wonder if, instead of feasts as a way to show off, what if they compared other things like: who had healthier/prettier animals, who had more various types of tree bark, or who had more creative cultural symbols or tokens? Would there still have been a division among the people in their society? Would inequality be such a signature of humans now? Those are just some competitions off the top of my head that could’ve replaced the feasts they had, but I do realize that my critiques here are ethnocentric, and it was 12500 years ago. I know that a division of people probably would have happened at some point anyways if it didn’t happen with the Natufians, but I am using them as a scapegoat. People have been unequal for over 10 thousand years, for no reason other than unnecessary greed. Greed needs to be demolished. This focus on wanting this and wanting that is what I believe is the underlying reason why the Earth is crumbling beneath us. Especially when we have the knowledge and the resources to end global suffering. 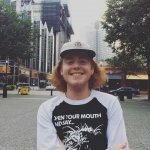 I may have my years and facts about the Natufians wrong, but I needed a platform to release my thoughts on the subject, so if you know more than I, or if you want to argue against my thoughts on the matter, a link to my instagram is on my author profile. I welcome any thoughts or ideas about the topic, so feel free to message me.